Use our custom color braids and open hair falls for chignons, braided buns and many other updos. The most popular ones for these purposes are here at a glance! 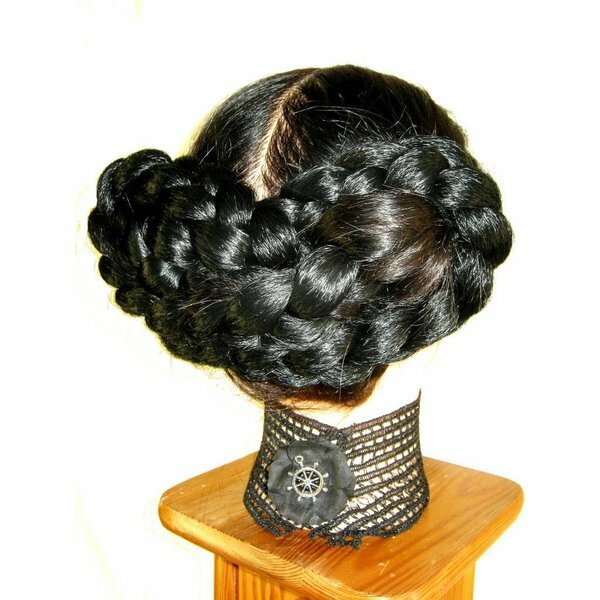 All buns, chignons, braided hairstyles and updos are made of one of our braids or open hair falls. Because of that, they are very, very long-lasting items! 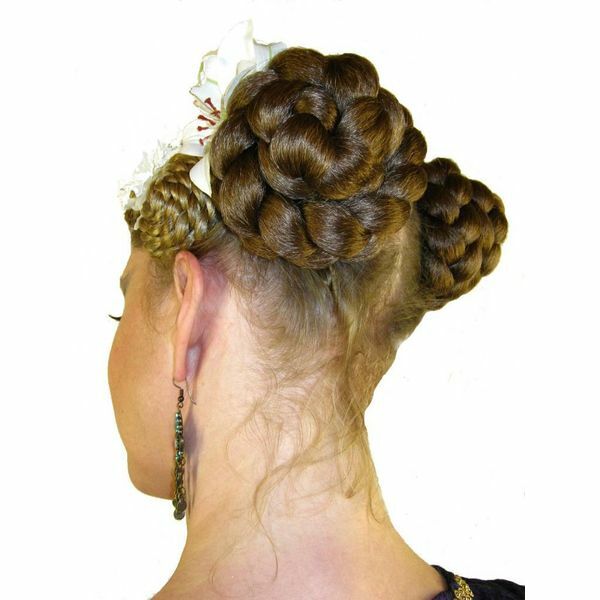 In this shop section you find an overview of the most popular hair pieces used for buns, chignons and other braided updos! 1. We want the bun to fuse perfectly with your own hair! Adding a premade bun always bears the risk of having gaps between the bun itself and your head, which reveals that you are wearing a hair piece. This is because the bun is just put on top of your hair and does not mix with it and naturally you don't want that effect! 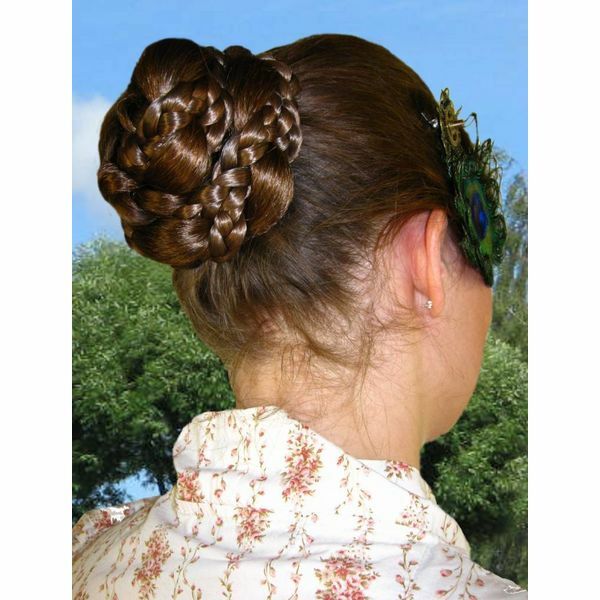 When you add a hair fall or braid to your own hair and use this to make a bun, you will get the most realistic look. This is quite logic, because the the bun is made the same way as if it was made of one's own, long hair! 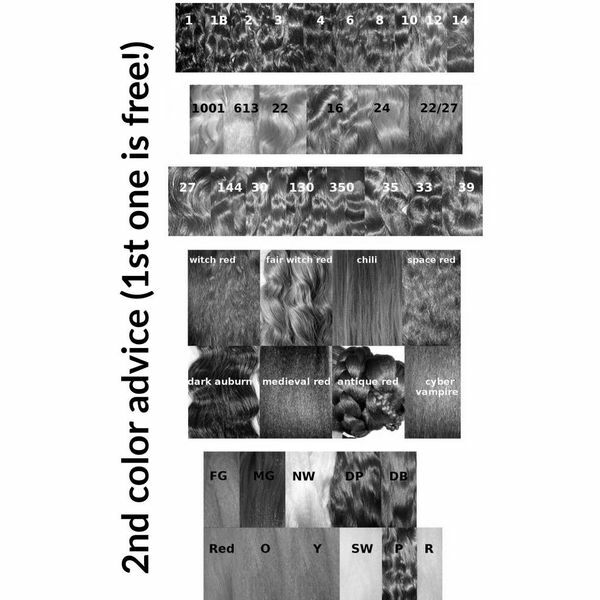 2.We want you to have a long-lasting hair piece! A braid can be opened, combed and braided again after use. As a result your next buns will be as neat as the very first one. The same with hair falls, because they can be combed, too. 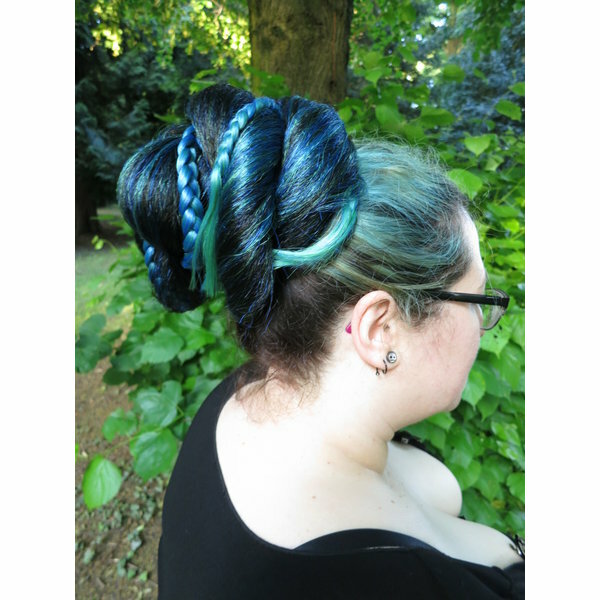 You cannot do this with premade buns, which means that most of them will be neat only the first time you wear them, because then hair will start coming out. We don't support use-and-throw products, so we exclusively offer you our long-life variant of buns, chignons & braided hairdos! Our hair pieces for buns, chignon and updos are made to order and custom-matched to your hair in color. 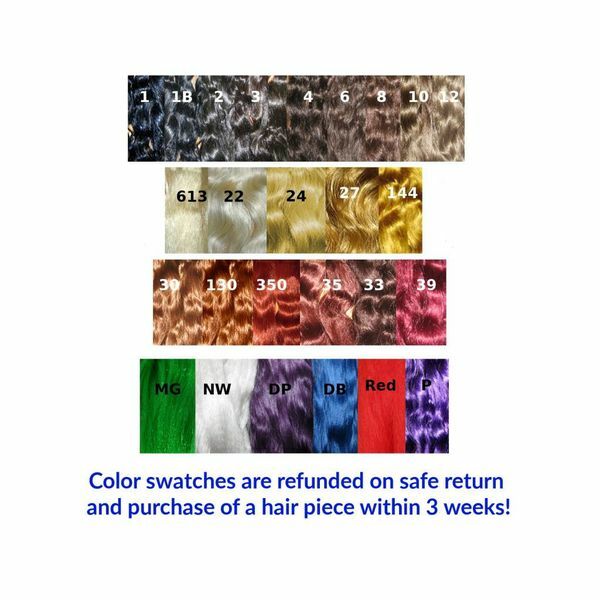 Your hair color can be matched perfectly including highlights, lowlights and all shades, because all hair pieces are made to order exclusively! 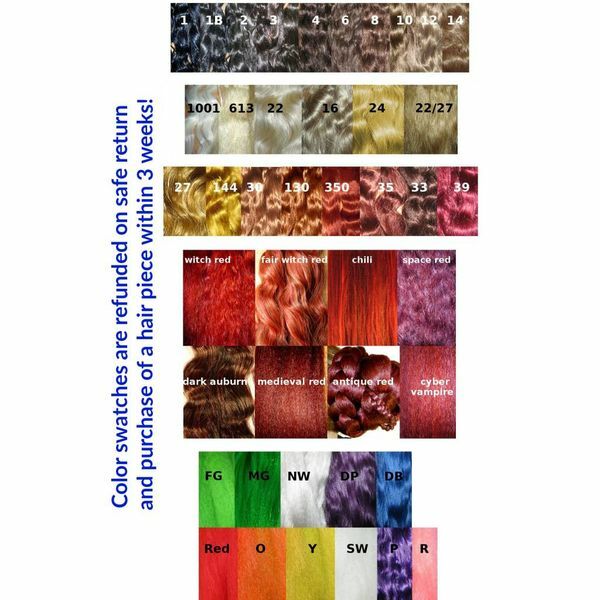 Each listing contains a color chart for the colors available for this braided hair piece. Most hair pieces are offered with two attachment systems. If you are going to use the hair piece for updos only and if your own hair is minimum shoulder long, the basic attachment is sufficient for you. 2. to cover the junction of your own hair and the synthetic hair. This fishtail attachment upgrade provides extra strong hold and most customers find it more comfortable to wear and easier to handle than the basic attachment. I named it fishtail attachment, because the two extra strands reminded me of the shape of a fishtail when I created this attachment method. 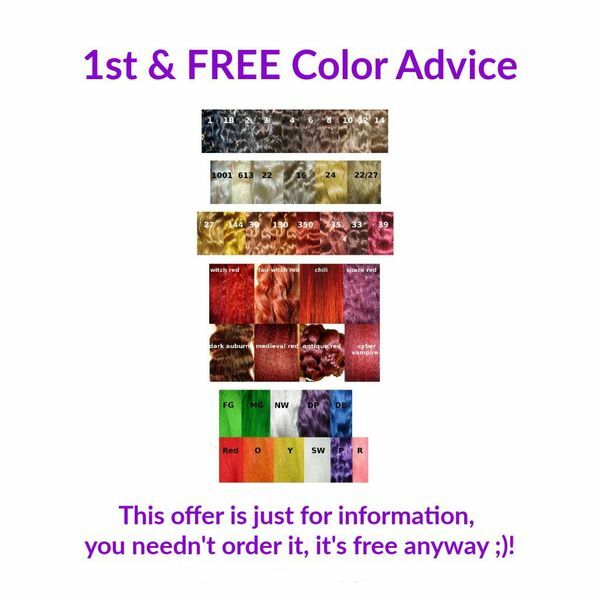 All hair extensions are delivered with detailed instructions for attachment, use and care.